With intelligence and crystalline clarity, a chorus of female voices speaks through the poems in Her book, ireann Lorsung's inspired second collection. 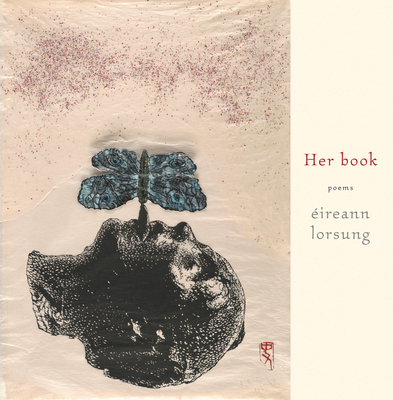 From the poet who brought us Music For Landing Planes By, ireann Lorsung's luminous voice is distilled through multiple unnamed female speakers in this, her second collection. Full of youth, wonder, and imagination, Her book crosses distances and generations to celebrate the lives of women, their individual and shared experiences, and the bonds that bring them together. This is also a book about translation (of experience into art, of knowledge across time and space) and conversation (with, for instance, work by Kiki Smith, widely known as a feminist artist). Lorsung writes additionally about her time spent in England and friendships she formed with women there. Together these poems comprise both her book (Lorsung's), and hers (encompassing all who identify with that word).